The month of May makes me think of flowers! 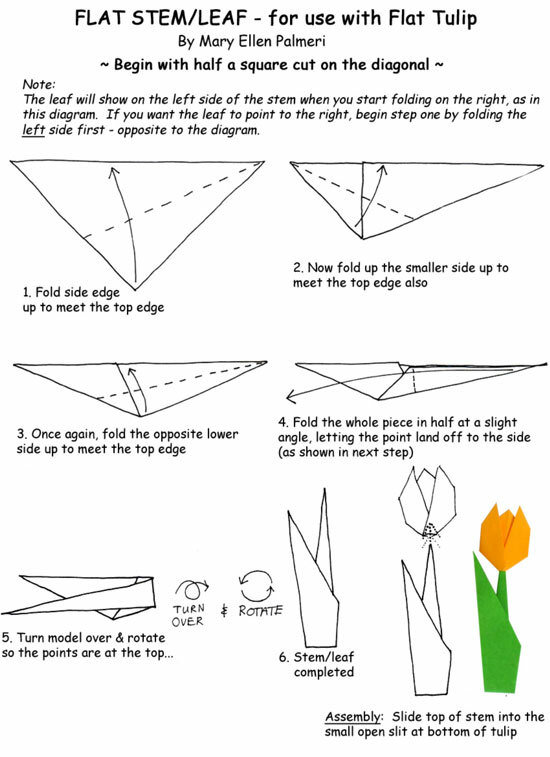 Here is a simple traditional tulip-fold that can be used to decorate cards or gift tags. 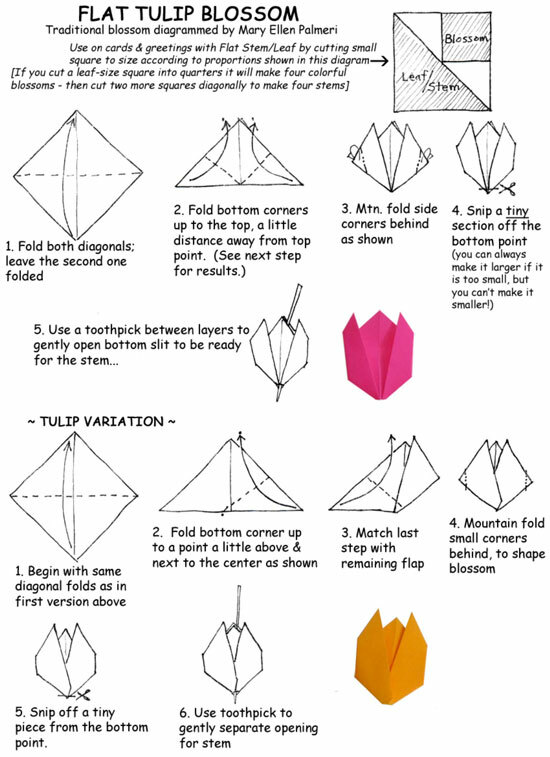 Folded flowers make a wonderful theme for Mother's Day, birthdays, congratulations, or a "Thinking of You" message. 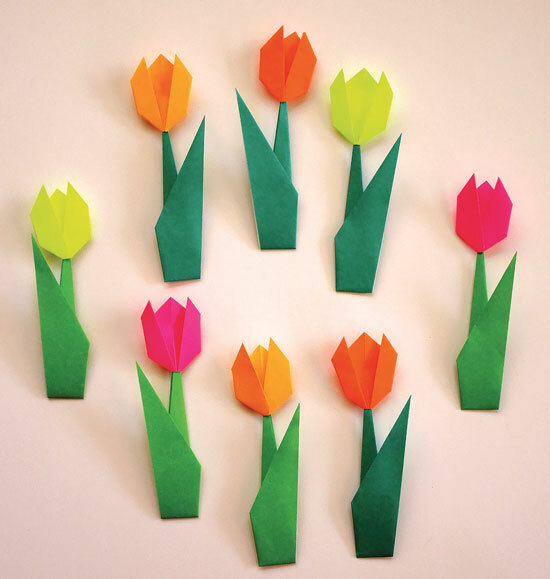 The tulip blossom can be used by itself or with the accompanying stem/leaf fold. If the blossom is used alone and attached to paper, a full picture can be created by drawing in grass, stems, leaves and other objects. 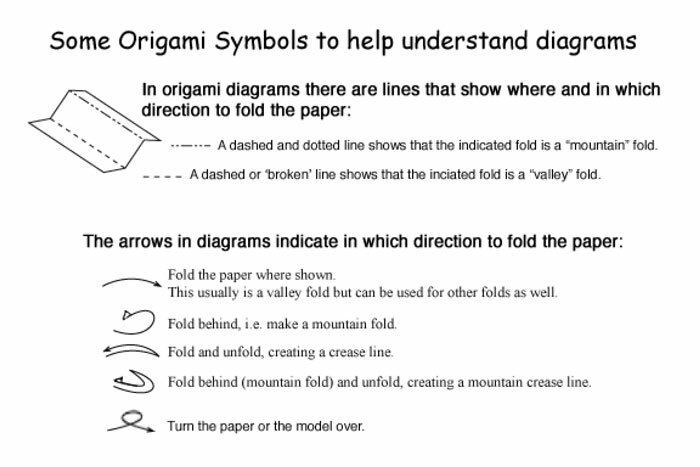 Try folding this model using various paper sizes and different colors to see what best suits your needs. It can be interesting to color your own paper before or after folding to achieve a unique look. And you can put a group of tulips together topped with a ribbon bow for an attractive presentation!